I like the song Bubbly from Colbie Caillat, and the video offers a lot of inspiration as well; easy going interiors with linoleum floors, wooden window/door frames, and beautiful casual textiles... A great example in comfort over luxury! 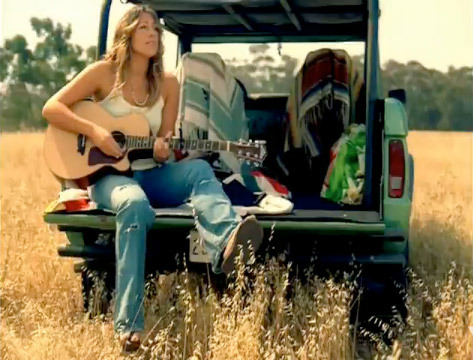 All images are stills from Colbie Caillat's "Bubbly" music video. I got my screenshots here.